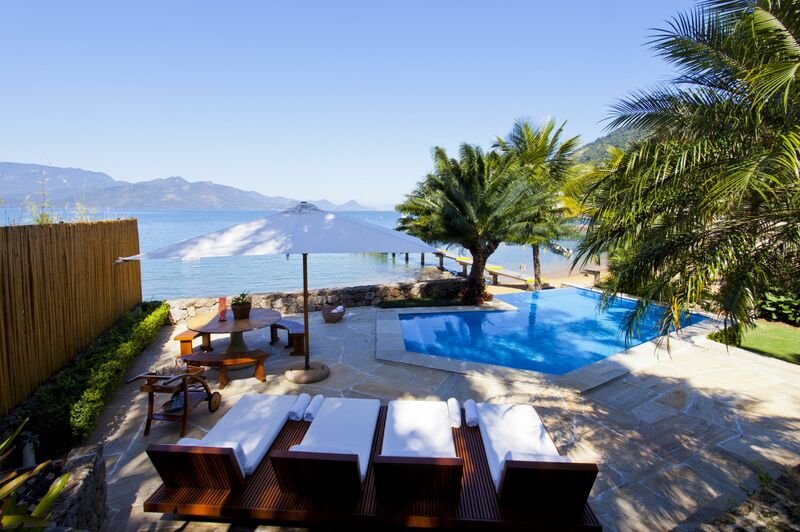 Villa 5 in Angra dos Reis has a prime location, besides being inside a gated community, which gives it much more security, it is right on the beach, with calm and clear waters on its doorstep. The house is very charming, has beautiful bedrooms, very comfortable, and entertainment for relaxed vacation times, such as sauna, Jacuzzi and pool table. Travelers who care about the safety of a gated community. 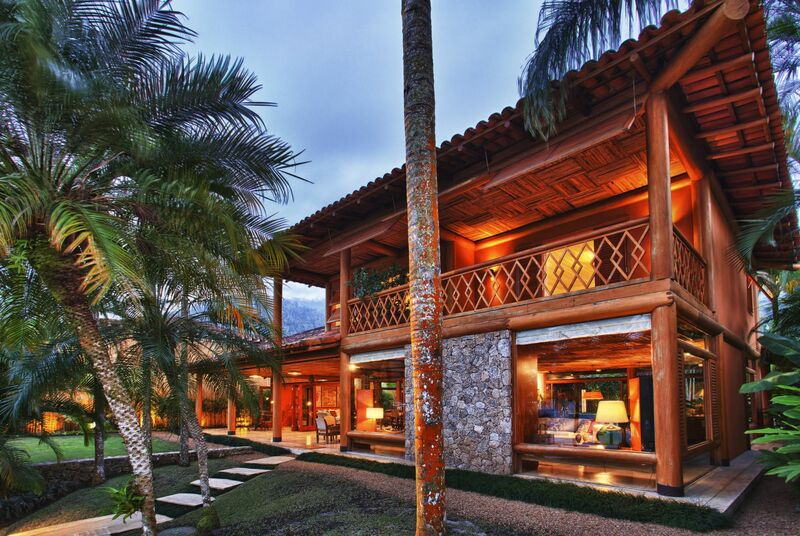 We have a unique selection of spectacular houses spread throughout Brazil and the world. 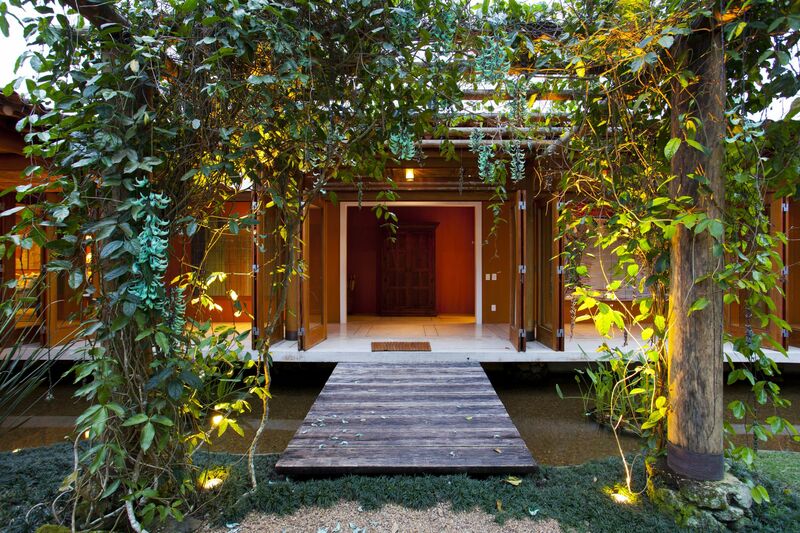 We help you pick the right house for your trip. Eating in a foreign country can be tricky, especially if you don´t speak the language. We put together a personalized menu for the whole stay and set up the groceries in the house prior to your arrival. We can also hire special professionals, such as Chefs, Personal Trainers, masseuses, amongst other requests pending availability. Our team is always around, from Check-in to Check-out. A Matueté Host can be hired at your disposal to take care of every detail and make sure you enjoy your vacation. Note that some of our properties have a Host Required policy. 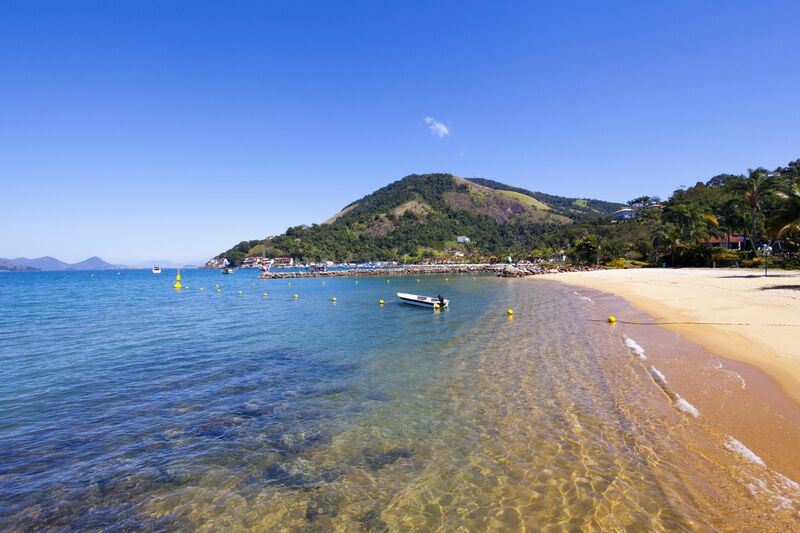 • Right on the beach - "foot on sand"
• Angra dos Reis Villa 5 is located inside a gated community. Staff 1 Cook, 1 Housekeeper, 1 Caretaker. 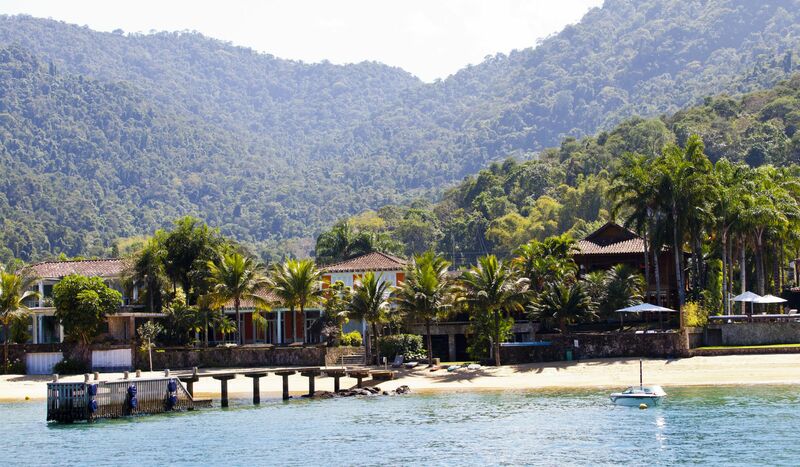 Angra dos Reis é o destino ideal para se explorar de barco, mergulhar e curtir umas das praias mais lindas do Brasil, na Ilha Grande. Com sua água verde-esmeralda, florestas densas e suas inúmeras Ilhas, Angra é um dos destinos mais bonitos da costa sudeste Brasileira. Temos casas dentro de condomínios fechados como o Portobello, Portogalo e Mombaça, ideal para quem quer contar com a estrutura dos condomínios. Para aqueles procurando mais privacidade, temos casas na Ilha Grande, Ilha da Gipóia e Ilha do Cavaco, com acesso apenas por barco.